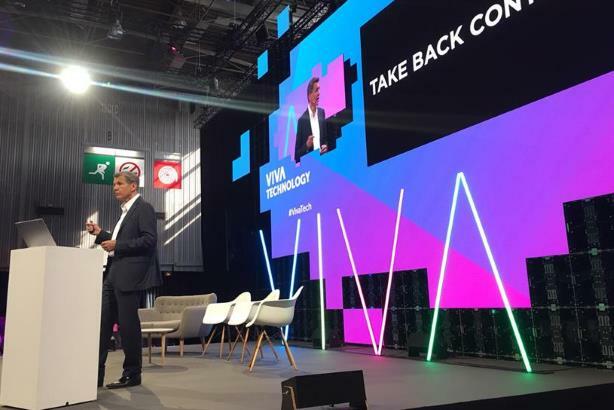 "We were annoying the hell out of people," the FMCG giant's chief brand officer Pritchard (pictured) disclosed this week at VivaTech in Paris. While P&G's data showed it was reaching its audiences an average of three times a month, the average hid the fact that many people were being reached 10 times a month and even more were being reached 20 times a month. "It's the biggest problem in the industry because it annoys our consumers; there are too many ads," Prichard said. "In China, we started directly buying most of our media and the resulting real-time viewing data has enabled us to do propensity modelling. As a result, we've saved 30% of digital waste in China and increased reach by 60%." "In the 1950s, ads were two minutes long, today we have two-second ads. How innovative is that, really?" Pritchard asked. "As media got more complex, we added more ads. More clutter. More noise. This doesn't break through at all; it is just more annoying for consumers. We want to do less, but doing it with much greater impact." The brand was running six ads at a time in every market, and it was changing it every few months to keep it fresh. But the result was just adding to the clutter. So, it "turned down the noise" and launched one national ad for the entire year. "If a startup can buy digital media, why can’t the people on Tide, Fairy, and Head & Shoulders do the same thing? They can and they will," Pritchard said. "Consumers want to know what our values are. Our points of view on issues such as the environment, gender, and race. Our leadership can impact each of these things," he said. Always' Like a Girl campaign has succeeded in changing the phrase "like a girl" into a positive expression for 70% of people. Before the campaign started, it was positive to just 19%.